"Fasting is, first and foremost, an exercise for identifying and managing adversity in all its forms. With faith, in full conscience, fasting calls women and men to an extra degree of self-awareness." "What is the benefit of fasting in our body while filling our souls with innumerable evils? He who does not play at dice, but spends his leisure otherwise, what nonsense does he not utter? What absurdities does he not listen to? Leisure without the fear of God is, for those who do not know how to use time, the teacher of wickedness." It's clearly more important to treat one's fellow man well than to be always praying and fasting and touching one's head to a prayer mat." "We must master our egoism, and through this mastery, step outside ourselves and educate ourselves in giving. 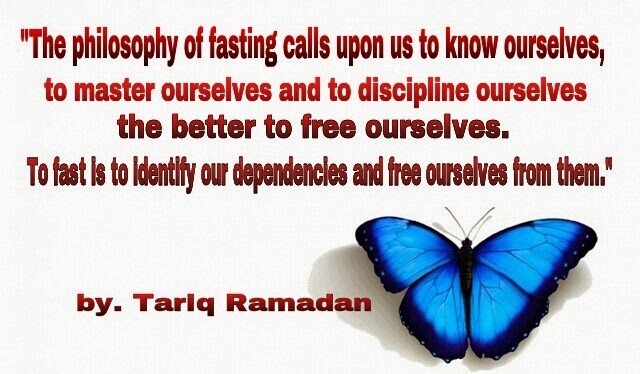 Fasting requires that we rediscover all that is alive around us, and reconcile ourselves with our environment." "Down on your knees, and thank heaven, fasting, for a good man's love." "We live unto Him, so committing our service to the Lord is the first and foremost priority of our lives. We can start with our reasonable service: prayer, studying, fasting, tithing, fellowshipping, and witnessing." "For the standard of Christian life was to bestrained to a higher pitch; more fasting was required, and more careful separation from the manners and enjoyments of the world; celibacy and martyrdom had great value set upon them, and second marriages were prohibited." "Start the practice of self-control with some penance; begin with fasting."